My life sounds pretty rough right? But in all fairness- food is my job. 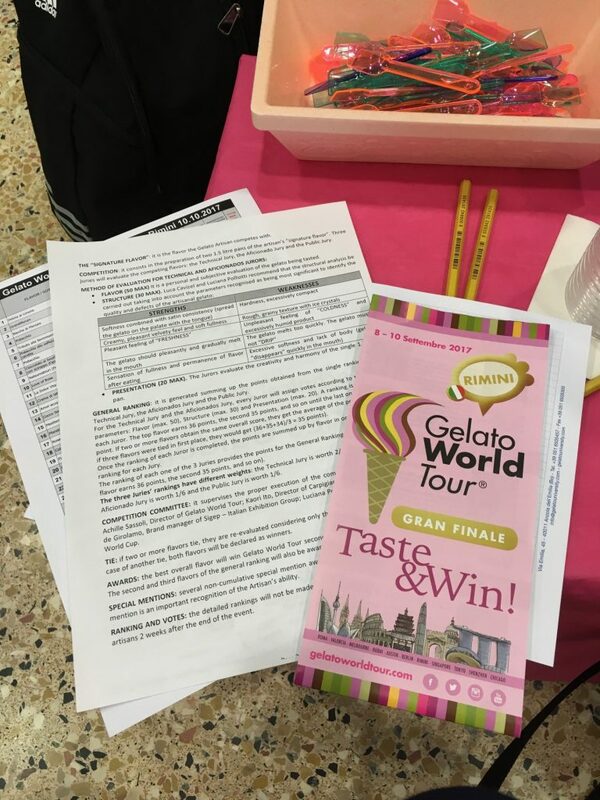 How did I end up judging at a gelato competition? A few months back, I made an impromptu trip to Carpigiani’s Gelato University & Museum near Bologna with a fellow writer visiting from Seattle. 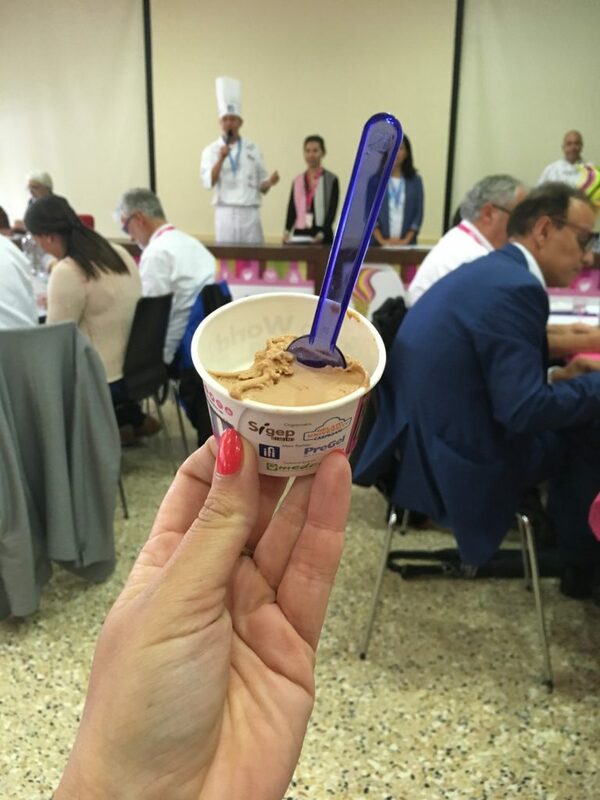 After a crash course in gelato history and making, 2 of the University’s managers asked if I’d be interested to be apart of a jury for their upcoming World Gelato competition. I said no, I’m on a diet and I hate gelato but thank you. HA! You damn right I said yes before they could finish the sentence. 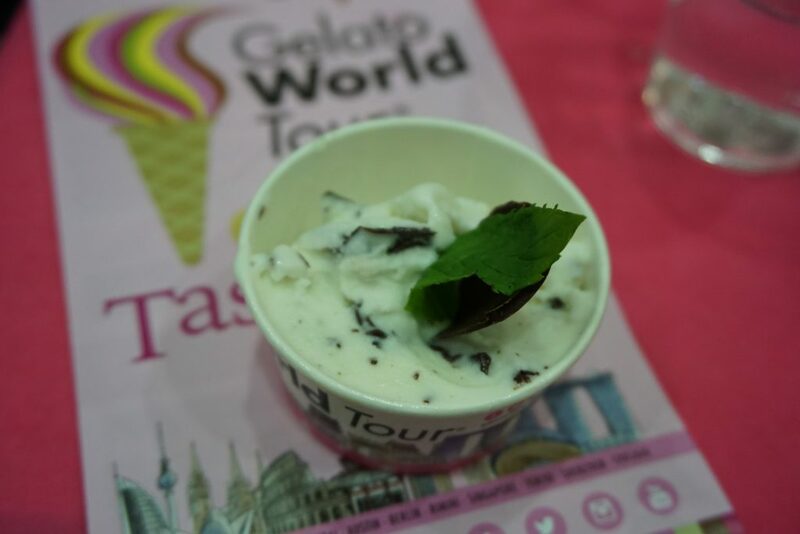 This is how the conversation went: Them: “We have a world gelato competition coming up, would you like to…” Me interrupting: YES I CAN HELP EAT ALL THE GELATO HOW DO I SIGN UP?! 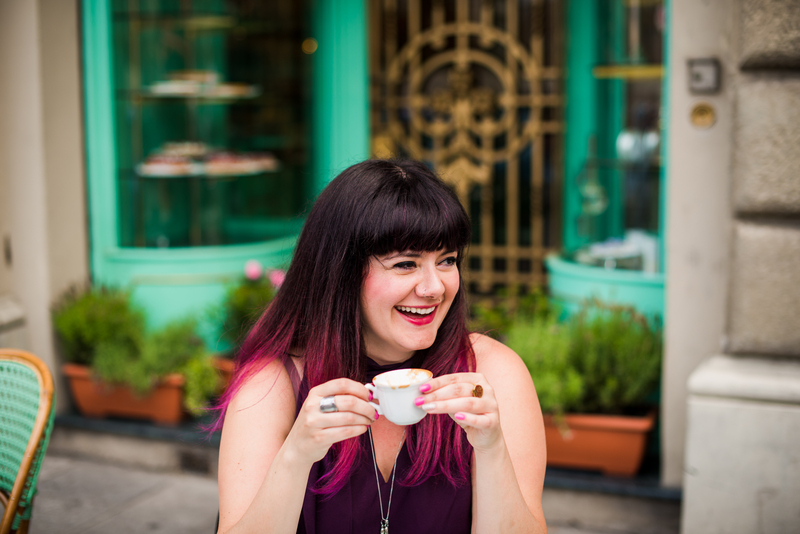 Perhaps I have overcome a few hurdles, but if I can meet my current health goals while being a food writer & culinary tour guide- I will feel as if I climbed a big, scary mountain. At this point, the accomplishment is already partially present as I’ve managed to start to make peace with my liver by reducing alcohol intake (apparently was averaging 4 units daily after diet journaling for a month) and I’ve established a steady exercise regime. So while I did taste every 36 flavors- I exerted great self-control to have just a taste (maybe 2) of each one and not wolf down every serving to the last spoon scraping drop. Carpigiani’s Gelato University and the tourism office of Bologna Welcome organized a whole weekend of interesting events for a group of international journalists & writers, to get to know the local culture & projects happening in the Emilia-Romagna- not only related to the World Gelato Tour final competition. 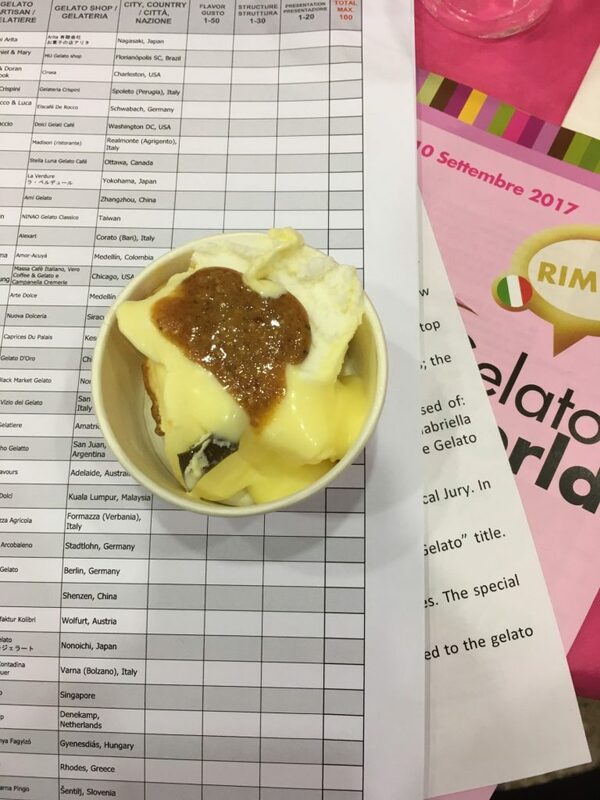 While in the company of countless international journalists & experts, this world gelato competition was one of the few situations where I felt Italy was indeed welcoming to international culture. I relished the occasion to listen to several languages in one room and witnessing how artisans from around the world married their traditional flavors with the Italian culture of gelato. The judging ceremony lasted about 2 hours and was comprised of a jury including our group plus several others totaling nearly 50. 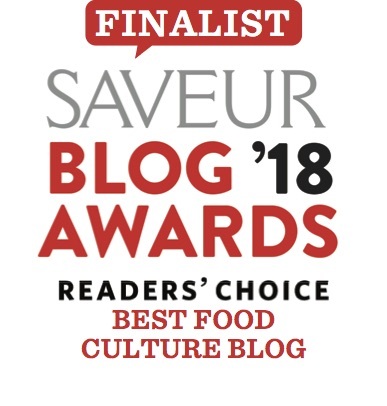 The jury was split between public critics, food professionals & writers and held around 40% of the vote while the remaining majority “weight” was comprised of former gelato award winners & maestros, director of events & operations from the James Beard Foundation (shout out to mega cool Victoria! 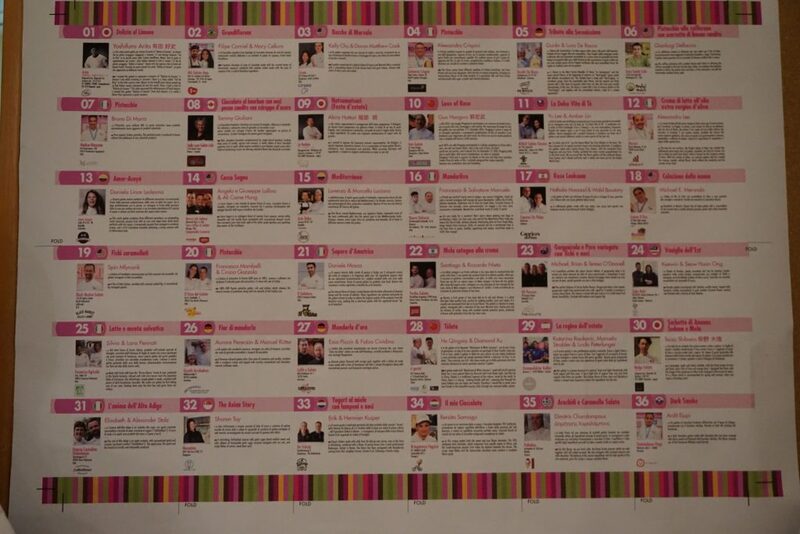 ), plus more serious food journalists and critics. We all had a tally sheet and points were given to technique (i.e. points docked for ice crystals or quick melting), presentation & personal taste. Points added up at the end and the winner took all! Cups came around while the gelato artisans colored their creations with personal stories on how they arrived. 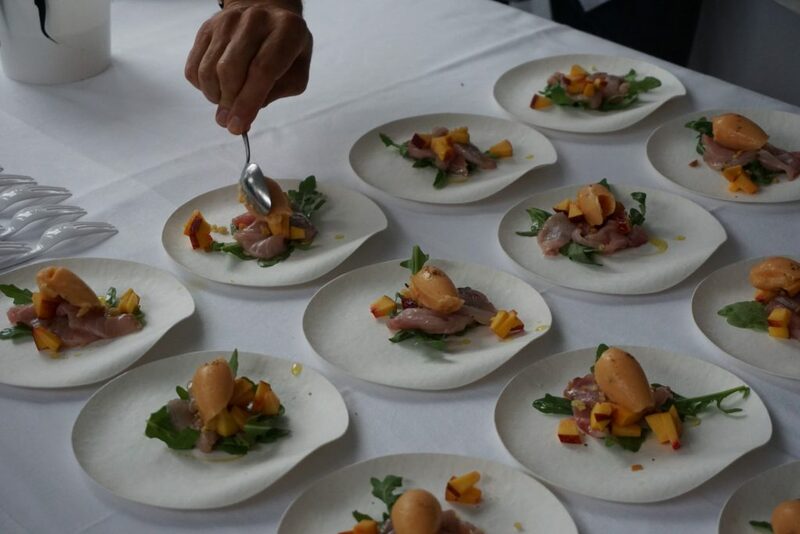 we also got to taste savory gelato- like peach on amberjack crudo as a sort of amuse bouche before the judging! I left feeling extremely inspired from the professionals I met and the projects we were introduced to. My faith in Italy slightly restored! 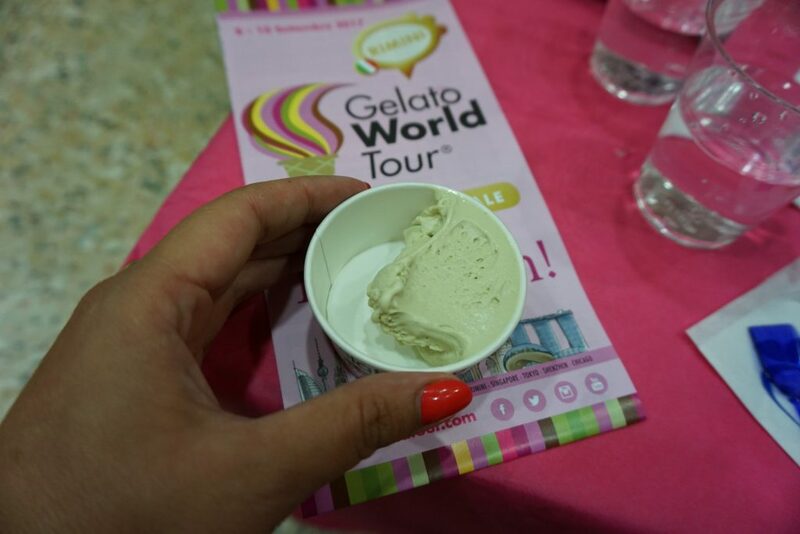 In addition to the gelato competition, the organizers set up an exclusive visit to FICO Eataly World, scheduled to open in November. We also visited a non-profit restaurant & shop, also a producer of wine, cheese, meats etc. The non-profit, called Spaccio di San Patrignano trains recovering youth drug addicts to work in the restaurant, pizzeria and/or bakery. All proceeds from the shop and restaurant goes towards their rehabilitation efforts for recovering youth addicts who are admitted to the community of San Patrignano. On the day of the Gelato Competition finals, it was a bit gloomy & rainy- but that didn’t stop the 50K masses to come and taste some of the world’s best gelato. The competition was a culmination of 3 years of competitions, and over 800 gelato makers from around the world competing in finals to make the 36 world’s best list. In Italy, over 1800 makers have taken part in local competitions over the course of the last 3 years, and about 9 made it to the world finals. One of the journalists at my judging table Dany Mitzman did a rather witty audio reportage on this segment of Inside Europe on DW. Click on the audio news titled “Inside Europe 21.09.2017”, skip the scary news to minute 45 and revel in the 8 minute summary (of which some I pulled some of the # figures). The festival took place in the seaside town of Rimini, south or Bologna in the Emilia-Romagna. Thanks to Dany’s reportage, I am reminded Rimini was home to famous film director Federico Fellini. Does iconic film “La Dolce Vita” by Fellini ring a bell? I’ll let you figure out the corny pun waiting to happen. 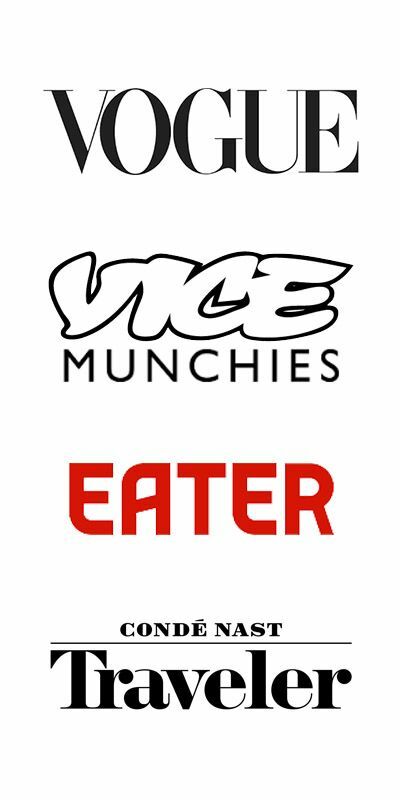 The use of ingredients & techniques was incredible- nectar from coconut flowers, Colombian dark chocolate, Chinese tea, greek peanuts, several heritage varieties of pistachios, strawberry grapes, saffron, rose, Japanese shaved ice, olive oil, smoked bourbon chocolate and so many others. There were obvious sponsors who had a lot to gain from the event, but I quite respected their angle albeit the commercial theme. 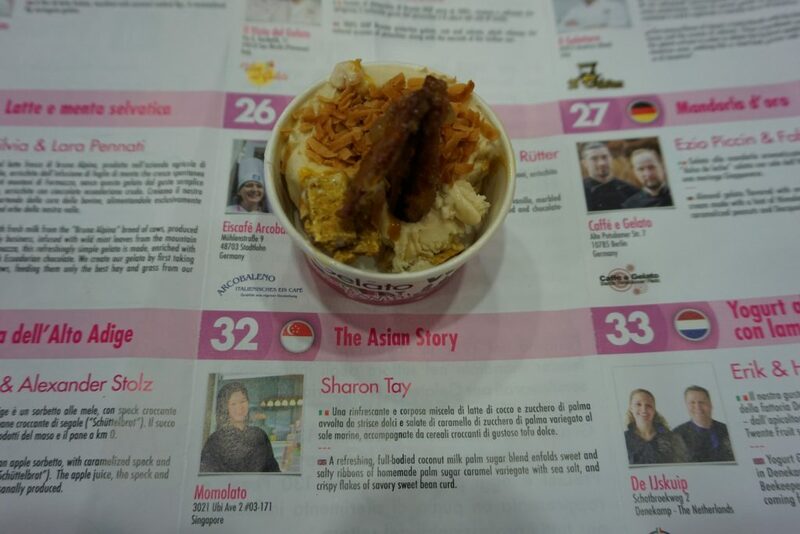 The sponsor’s intention with this World Gelato Cup is to spread gelato culture around the world- I can get behind that propaganda any day! While I usually boycott or refuse invitations to anything overtly commercial, I made an exception here. I mean, I developed a gelato tour in Florence thus a world gelato event like this meant an obligatory professional learning experience! Noteworthy of this goal to spreading gelato culture, is also promoting artisanal gelato production. Italian gelato is a fresh product and is meant to be consumed within a few days (tops) while the industrial stuff in freezer cases can sit around for months. Living in Italy, I slumped out of the habit of buying gelato or ice cream from the supermarket. There is little reason to since Italy has a culture of gelato at dirt cheap prices. Plus, I encounter just as many gelaterie in my general vicinity as their were coffeeshops when I was living in Seattle. Gelato shops aren’t always synonymous with truly artisanal. Unfortunately, the term “artisanal” while a necessary food writing term evil, has become an abused buzzword. Artisanal just means “hand-made.” You can make gelato “hand-made” with powders and gel gunk too. When I say truly artisanal, I mean the use of high quality whole raw ingredients, rather than powders, nixing artificial flavors and too much sugar but rather depending on the showcased ingredient base such as high quality pistachio. 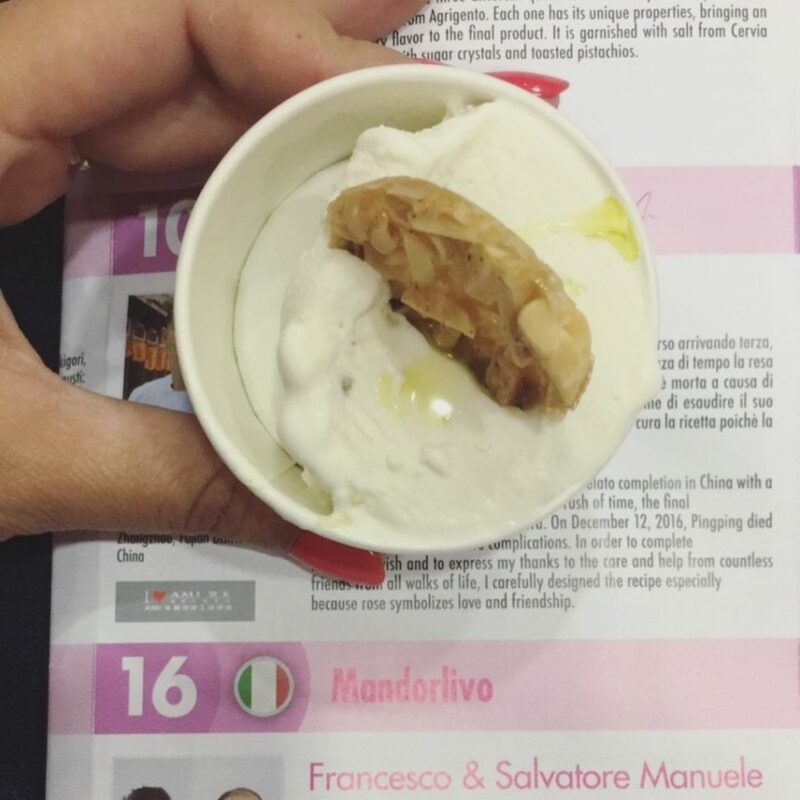 There were THREE pistachios at the gelato competition! 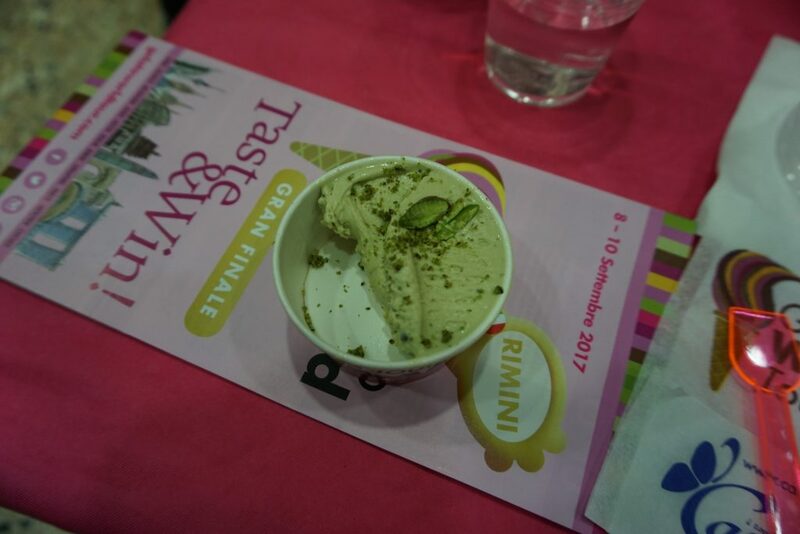 Out of all the fascinating, worldly creative combinations- trusty old pistachio won the world’s best gelato prize. The irony in this is that I LOVE pistachio but I was really hoping a more creative gelato would have won, and not from an Italian man. The winner is earnest & talented and I don’t mean to insinuate Italian men don’t deserve to win, but wouldn’t it have been a dream had an international women won? The silver lining and 3rd place prize did go to a rather luscious passion fruit & dark chocolate by a female Colombian gelato artisan Daniela Lince Ledesa of Amor-Acuya in Medellin, Columbia. 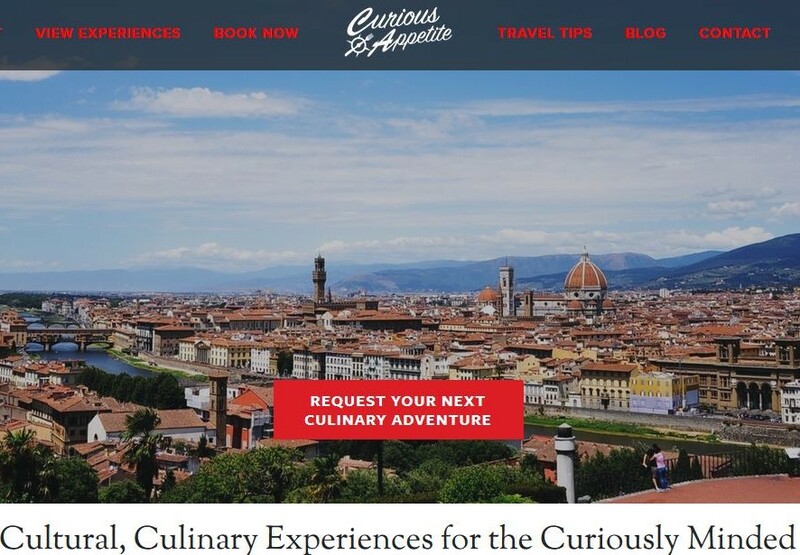 And this point is not to be polemic for the sake of feminism in the culinary world, but rather highlighting Italy is utterly traditional, even in the face of dazzling gelati enhanced by Lebanese rose or Chinese Liu Pu jasmine tea. The crowned world’s best gelato can be found in Spoleto, Umbria at Gelateria Crispini, where the master blended 3 types of pistachio including a unique slow toasting process at low heat for 24 hours. I’ll be visiting Crispini this weekend so stay tuned for the full report! Some of my personal picks included a sheep’s milk ricotta with a chestnut honey from Daniele Mosca of Il Gelatiere, an artisan from Amatrice. This was one of the towns devastated by earthquakes in Central Italy last August in 2016. I was blown away by this gelato master, despite his province being ravaged by natural disaster and shop closed, he managed to continue to participate in competitions and still make gelato. More impressive flavors were from a Sicilian artisans from Nuova Dolceria in Siracusa: fior di latte base with candied olives, olive oil and lemon with an almond brittle and another up north by Formazza Agricola in Verbania (Piedmont), a wild mint & ecuadorian dark chocolate in a milk base from grass-fed heritage breed “Bruna Alpina” cattle. the Almond brittle and olive oil- swoonworthy gelato from Siracusa! For international takes, I loved Japanese artisan Yoshifumi Arita from Nagasaki (Arita) who interpreted award-winning bakery Sal di Riso’s panettone made from Amalfi lemons into Delizia al Limone, to an Italian gelato maker now in D.C. (Dolci Gelati Cafe’) who made a pistachio, lemon peel and saffron gelato which reminded me of Iranian bastani. One of the most surprising delights were makers from Taiwan and China who infused various varieties of teas into their creations. To seal the weekend’s deal, wonder woman PR magic maker for the Gelato University Michela Iorio took the remaining lot of us who didn’t peel out after the weekend’s competition to have a Monday pizza party at the non-profit organization Spaccio di San Patrignano I mentioned earlier. The most memorable pizza master present out of the 4 was Franco Pepe of Pepe in Grani down south in Caiazzo (Caserta). I may have fangirl’d a little bit that evening. Scroll through the instagram embedded album to see what I mean. Famous Gabriele Bonci from Rome was present too- but even there I didn’t go crazy over his pies. Toppings- great. Dough- wasn’t mind boggling. I’ve really tried to get into the whole Bonci craze, but I’m personally not into it. He was also the most stand-offish personally speaking and gave off a “too cool for you” vibe, while Franco came to tables to personally greet us all- and this guy is the winner of the best pizza in Italy (which essentially means best pizza in the world). I’ll be hopefully writing up a whole post about this food non-profit Spaccio di San Patrignano so stay tuned for that as well. If you can’t wait, I suggest going and checking it out, especially if you have a car. I wanted to buy everything and eat there everyday- can’t beat the fact it’s amidst rolling hills and olive groves. I’ll leave you for now, but this won’t be the last you hear from me regarding pizza and gelato- I promise. 36 gelato flavors followed by a pizza party. I am officially super jealous! Great post Coral.